I design residential landscapes, pools, patios, gardens, and outdoor spaces of all varieties. I work with homeowners, architects, pool companies, builders and design professionals to create original design concepts and review existing designs, provide material selections, review proposals and assist with contractor selection. I consult on the best use of native plants which will conserve your time, energy and water. 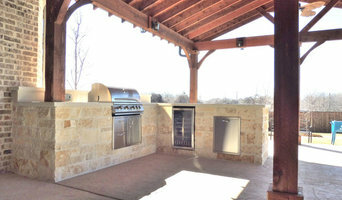 Enhance your outdoor living space with a custom-crafted rock boulder from Boulder Designs of DFW. Our exclusive stone boulders help personalize and mark any residential or commercial space. We specialize in custom-crafted stone-based masterpieces for homes, golf courses, schools, colleges, resorts, churches, cemeteries, municipalities and memorials. Our custom-built landscape boulders can be used for address blocks, benches, business signage (including a logo feature), and fire pits. If you can dream it, we can create it - any shape, any size, any color. Each stone boulder is custom made to your specifications and budget. Let us help design and build something for you. It's easy to do! Simply email us with what you would like or use our online Design Questionnaire at <a rel="nofollow" target="_blank" href="http://www.boulderdesignsdfw.com/design-questionnaire">http://www.boulderdesignsdfw.com/design-questionnaire</a> . Answer the questions and make your selections (rock shape, color, size etc.) and, in about 48 hours, we will email you back your layout/proof (created by our graphic designer) with a delivered & installed quote. There is no charge or obligation for the proof. Once you approve the design, we build them at our facility in Roanoke, TX. Our standard production time is 3-5 weeks, Let's us know what we can build for you! Everything we do is done to bring Nature and Wildlife closer to you. We believe it is vitally important to grow communities with a deeper respect for living beauty. There is incredible beauty, wonder and a sense of peace that is found in Nature and we want everyone to experience this. It is our mission to help others experience the wonders of Nature by bringing it closer to each of us, every day. We design and install habitat landscapes for corporations, retirement communities, neighborhoods, apartments, schools, and homes. We encourage you to explore our site and learn about habitat landscaping: using native plants and water features to attract birds, butterflies, and other pollinators. We hope you will enjoy the information we bring you and that you will contact us to bring the wonder of Nature closer to you. Our lead habitat landscape designer is Nancy Payne. Nancy is a TNLA Certified Nursery Professional, has her Native Plants Certification with the Native Plant Society of Texas, enjoys volunteering in her community as a Dallas County Master Gardener and is passionate about building habitat gardens. The work of this outdoor professional includes most everything surrounding a home's exterior. 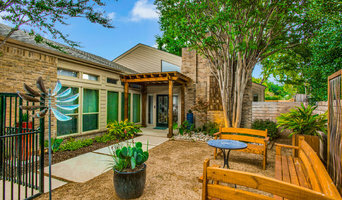 A landscaping architect can even work with the home architect to choose the right spot for your Flower Mound, TX house. From there the Flower Mound landscaper will develop preliminary concepts for your front or backyard design based on individual needs including the climate and activities that will take place, as well as layouts and planting plans. Landscape architects will also design any structures or outbuildings that will be added to the space. Any grading changes that will be added to the yard are also the responsibility of the architect. This includes any drainage modifications. An engineer can also be responsible for these tasks, but licensed Texas landscapers are fully capable. Like building architects, they will produce preliminary concept drawings as well as detailed construction documents and planting plans. Three-dimensional renderings and illustrative plans are all supplementary. A Flower Mound landscaping designer generally will have ecological, aesthetic and technical training, which helps them maximize the potential of your outdoor space. Keeping in mind both style and functionality, garden designers analyze your architecture and yard to produce a plan that may or may not include location and materials for walkways, patios, water features, fences, garden aspects and more. In addition, a landscaper in Flower Mound, TX will carefully assess your geographic region to choose plants, trees and flowers that will flourish naturally, as well as address concerns such as drainage, screening and soil conditions. Certain landscape designers only help with the planning portion, while some may deliver the plans and then oversee a hired landscaping contractor. Others — typically following a design-build approach — take care of both the design and all aspects of the landscape architecture and construction. Find a Flower Mound landscape architect on Houzz. 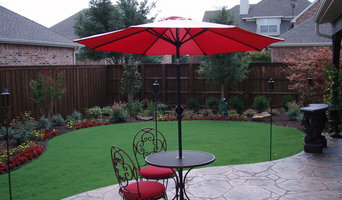 Narrow your search in the Professionals section of the website to Flower Mound, TX landscape architects and designers. You can also look through Flower Mound, TX photos to find a space you like, then contact the professional who posted the photo.